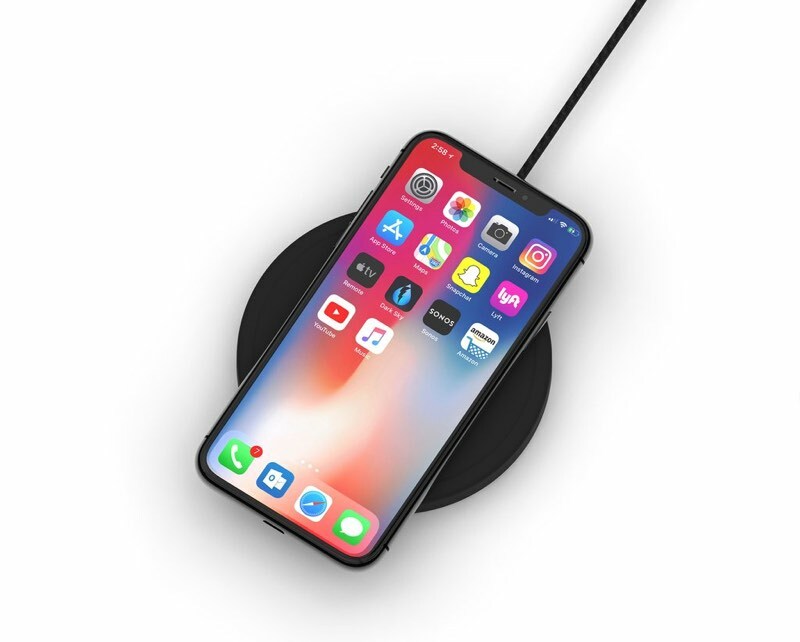 Elevation Lab, known for its range of popular iPhone docks, today announced the launch of its latest product, the NightPad wireless charging pad designed for the iPhone X, iPhone 8, iPhone 8 Plus, and future iPhones with wireless charging capabilities. The NightPad features a minimal design and it looks like a simple black puck, with a matte finish over the body of the accessory. A raised ring is included at the edge of the charger to keep the iPhone securely in place while it’s charging, and it uses a 6-foot braided cord for power. 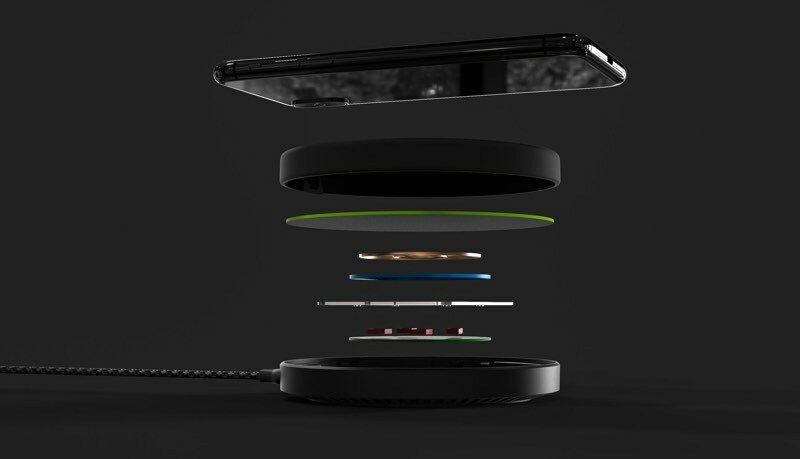 A subtle black logo is included at the top of the NightPad, and while many wireless chargers use an LED to indicate that an iPhone is charging, Elevation Lab has designed its version with no LEDs. This is to keep it from being noticeable in a dark room. An LED isn’t technically needed since a charging logo is displayed on the iPhone when a successful connection has been established. Elevation Lab is an Apple MFi member and the NightPad supports the faster 7.5W charging capabilities. 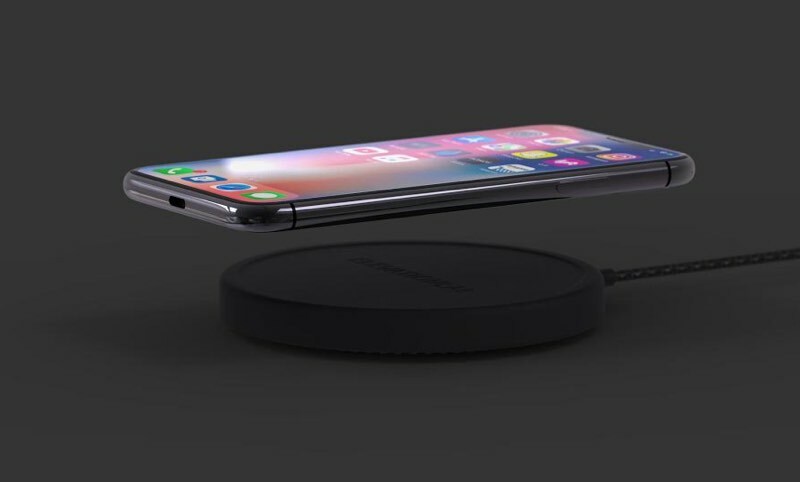 It can charge an iPhone 50 percent faster than standard Qi wireless chargers, according to Elevation Lab, and the 7.5W engineering lessens radio interference. 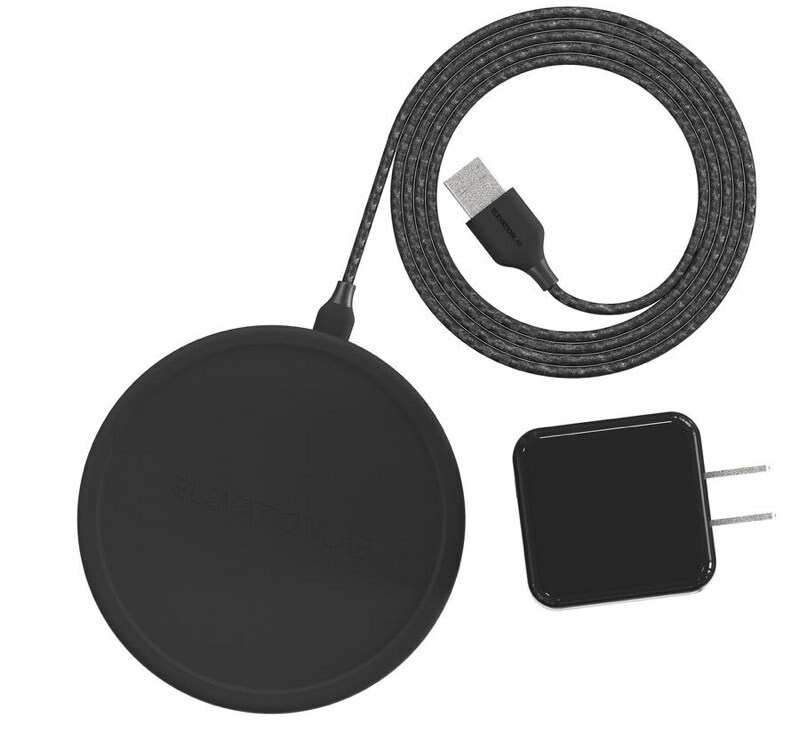 While created for iPhone, NightPad also works with all Qi-based devices and supports Samsung’s 10W charging. The NightPad has been engineered to work with cases up to 3mm thick, but in tests, Elevation Lab has seen successful charging with cases up to 6mm thick. Automatic metallic rejection is included to prevent charging when metal is detected, and vents on the underside are included alongside “intelligent electronics” for thermal management purposes. Elevation Lab is selling the NightPad for $39.95 standalone and for $49.95 with a 15W QC 3.0 power supply included. Higher power adapters are required for Apple’s faster 7.5W charging, so people without a QC 3.0 power adapter will want to purchase the version that includes it. MacRumors readers can get a special 25 percent discount off of the NightPad when entering the promo code MACNP25. Make sure to order soon, as this deal will only be live for a week.